We have worked with a number of customers to bring their content and their web sites to live, with our content creation. Some people don't have the time, others don't have the skills. Whatever situation you are in, talk to us about creating engaging content. Our team work closely together to create text that is inviting, interesting and unique to engage readers and to help push you up the search engine rankings by using the correct words and phrases for Google (and other search engines) to recognise the quality of your web site. The process starts by us talking to you about your business. We like to find out what you do, how you do it, why you're special and what's interesting about your business. 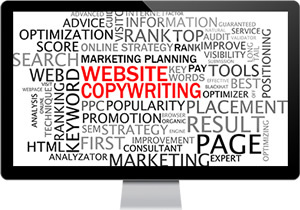 We then take that information and create a draft copy of the text for each page of your web site. The first draft is sent over to you for you to highlight and changes that you would like made and if necessary, we will rewrite the copy to take into account your comments. Once the second draft is completed, we will again send this to you for your approval and once you have signed off on the text, we will upload this to your site for you. Unique and interesting text is important to your customers and to Google, so why not get in touch and see how we can help you? We love, web sites, SEO and helping your business grow.